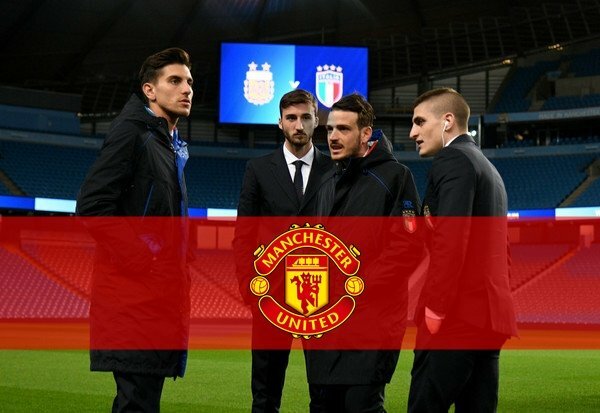 Jose Mourinho is a known admirer of the Italy international, and United will be willing to double Pellegrini’s current salary of an estimated £890,000 per year. As per to Italian newspaper Corriere dello Sport, Pellegrini’s agent Giacomo Pocetta had a meeting with United’s directors in London on Saturday and a substantial offer was laid out on the table. The English giants will not only pay the release clause present in his contract, which runs up to June 2022 but will make sure that Pellegrini is well paid. As a retort, Roma’s director Monchi will hand Pellegrini a new contract at Roma, which will remove the existing release clause or raise it significantly. The capital club are not willing to lose another member of their midfield so soon after losing Radja Nainggolan to Inter Milan and Kevin Strootman to Marseille the past summer. The 22-year-old Pellegrini has netted twice and laid on five goals for Roma in all competitions this season. The club will most probably join Real Madrid in the Champions League knockouts but sit a paltry sixth in Serie A, 15 points behind runaway leaders Juventus. Pellegrini, a native of the Italian capital, came up through Roma’s youth ranks and played one senior game before being sold to Sassuolo. He developed quickly there and this progress prompted Roma to make use of a buy-back option in 2017. Since then, he has been a regular in the first team at the Stadio Olimpico. Pellegrini also has nine caps for Italy, following his debut last year. United are crying out for some fresh faces in midfield, especially creative ones, and with Mourinho not willing to give chances to academy graduates like Andreas Pereira, the next best option is a player like Pelligrini, who can bring something different to the table at Old Trafford. So Mourinho would do well to bring him to Manchester come January.